(SAVANNAH, GA) During the month of December, Dr. Angela Canfield and ten businesses in the Sandfly community held a toy drive for the children of Urban Hope and families at the West Broad Street YMCA. 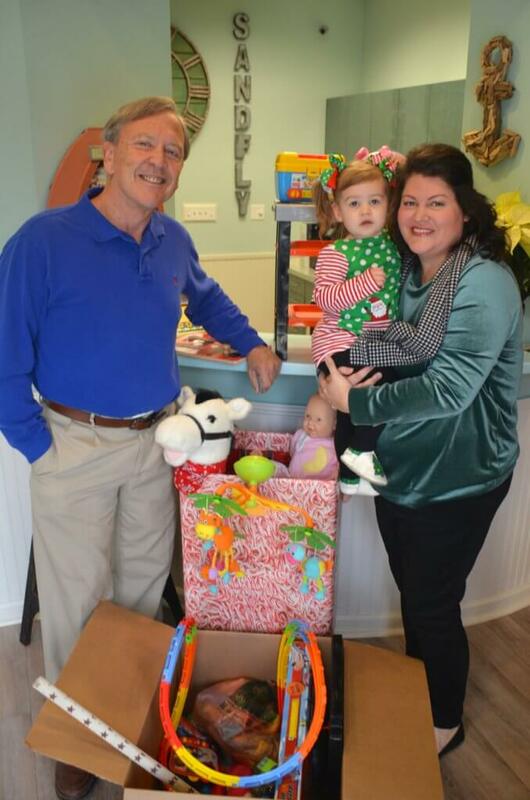 Used toys were collected at Sandfly Family Dental for the Kids Helping Kids Program of the West Broad Street YMCA. The Kids Helping Kids Program started in 1981. Traditionally operating through the Savannah Chatham County Public School System, the program collects used toys and then distributes these toys at no cost during the annual Miracle on May Street holiday toy giveaway. New toys were also collected for Urban Hope. Urban Hope has a 17-year history of reaching out and embracing the children of Savannah’s at-risk communities. By providing a warm, caring, structured and safe environment Urban Hope provides the children who participate in it’s free After School or Summer Camp programs the opportunity to receive academic and developmental support through a variety of means. The following Sandfly Women Business Owners’ businesses participated in the new toy drive as dropoff locations for Urban Hope: Advertising Specialty Services; Savannah Power Yoga; Herb Creek Landscape Supply; Cents & Sensibility; Tequila’s Town; Driftaway Cafe; Sandfly BBQ; Sandfly Framing; and Annabelle’s. Wishlist items for Urban Hope included children’s books, coloring books, toy trucks, building blocks, multicultural dolls, musical toys, play dough sets, large piece puzzles, pull toys, sports equipment, board games and art supplies, including glue sticks, markers, scissors and stickers.